Raible Designs | We bought a boat! I've always enjoyed whitewater rafting. I think the first time I did it was in college and I immediately fell in love. Through the years, I've been on many trips with family and friends. However, it wasn't until this summer that I realized it was something I should do more often. It was Trish's friends, Chris and Bryce, that started it all. 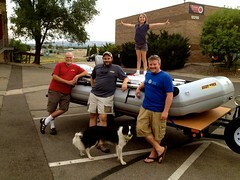 They bought a raft last year and we floated down the Colorado River with them a couple times over Memorial Day Weekend. Then we went to Montana and enjoyed a couple days on the Middle Fork of the Flathead with Dr. Barton and a bunch of raft guides. That weekend in July, we realized we'd done more rafting than any other outdoor activities (mountain biking, camping and even golfing). That's when we decided to buy our own. 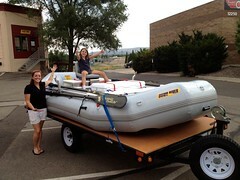 We had a lot of help in the process of buying a raft. First of all, I sat down with my friend Dr. Barton and made a list of all the things we'd need. The good doctor was a whitewater guide in Montana for 5 years, has rescued trips from the wilderness and has even rafted the Grand Canyon - so I considered him a good source of information. After composing the list of necessary gear, we headed to Down River Equipment on August 26th, the last day of their end-of-season sale. 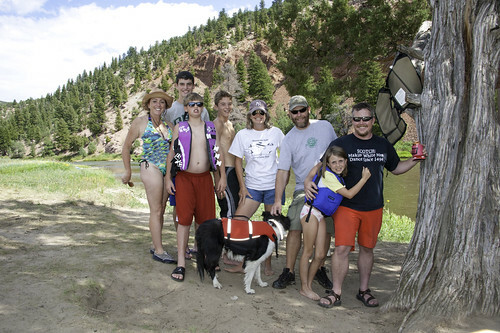 It took us an hour to pick out the raft we wanted (a Pro 140) and gather up all the gear (frame, cooler, oars, dry box/bags, lifejackets, koozies, etc.). We asked them to have it ready by Friday and headed home. Last Friday, we picked up a raft trailer from Trailer Source an hour before they closed, then journeyed to Down River where Mike (the owner) and Matt (the guy who helped us the previous Sunday) helped us setup our oars and load up our new boat. There was much rejoicing. Saturday, we took it on its Maiden Voyage on the Colorado River, floating from Radium to Rancho del Rio. According to this page, there were some Class III rapids, but they all felt like Class II. I guided and rowed the boat most of the time while our 7 passengers (and 2 dogs) enjoyed cold beverages, great scenery and relaxing in the sun. It took us a bit longer (4 hours) than expected (2 hours), but we all thought it was well worth it. After a long day of floating on Saturday, we decided to chill on Sunday with a little golf. We split the kids up for the weekend (Jack went with his mom), so we figured the proper way to treat our only child was to take Abbie to play her first real game of golf at Pole Creek. 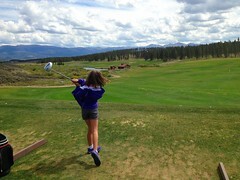 We played 9 holes and both Abbie and I had a great time trying out our new clubs. 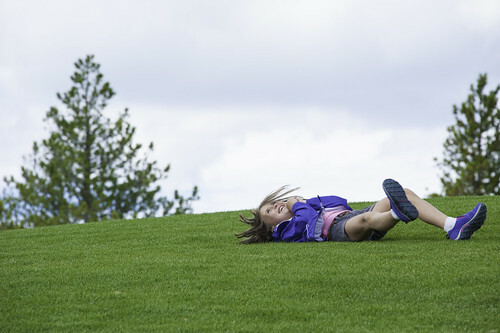 We received a nice kids golfing tip from someone at the driving range: have them tee off from the 150 marker so they have a chance to par the hole. The course had a 50% discount for kids and we never saw anyone behind us the entire game. 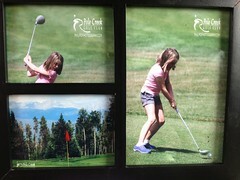 We were especially impressed when the course photographer offered us a framed set of Abbie pics for $15. We don't know how many more days of rafting we'll get in this year, but next year should be epic. 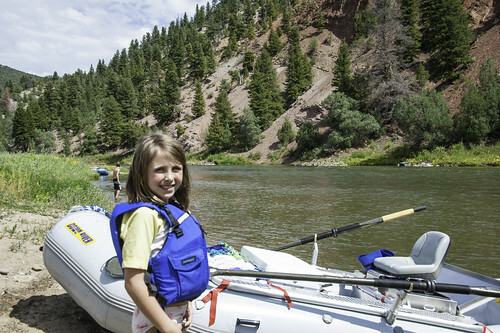 We're hoping to do multi-day trips on the Green River, the Smith River and fly into Schafer Meadows for a journey through the Bob Marshall Wilderness. I grew up only 10 miles from "The Bob" and I've never been in it. I can't wait!